A very old building ... "Hôtel de la Chasse"
that would one day become a prosperous food market. to the quartier Les Champeaux. 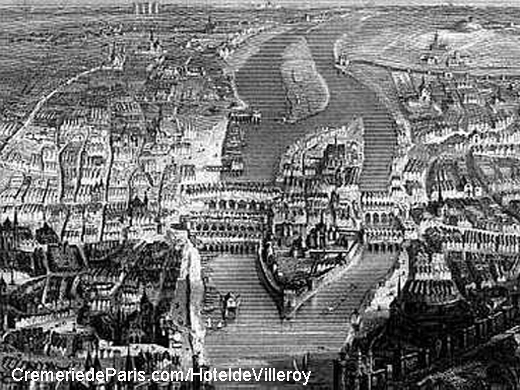 and arranged the construction of the first "Halles"
to house the first food "shops". in the Halles food market. He brought fish from Cherbourg and sold it in Paris. Apparently the house had no particular architectural interest. later the Neufville de Villeroy children. 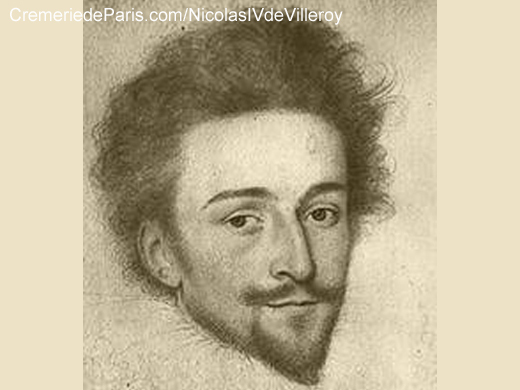 start to to make a "political career"
and they occupy functions in the Kingdom of France. later maître d'Hotel for the Duke Philippe de Bourgogne. becomes State Secretary of Finance. 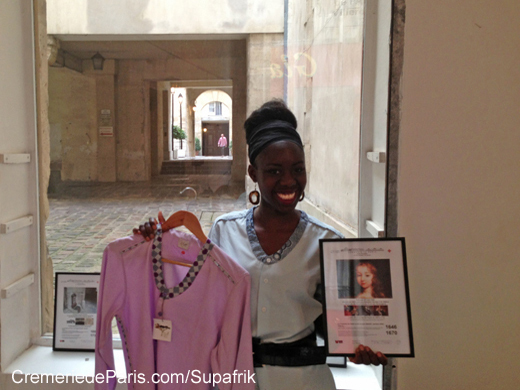 located on n° 31 rue des Bourdonnais. The house was full of Renaissance Artworks. 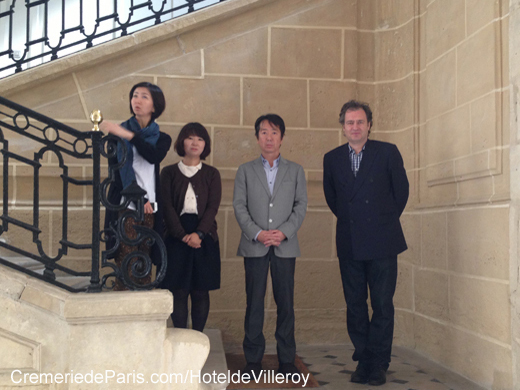 beeing on the grounds of today's Rue de Rivoli). become the Neufville de Villeroy family. is only 10 minutes walking distance from their house. becomes Secretary of the King. 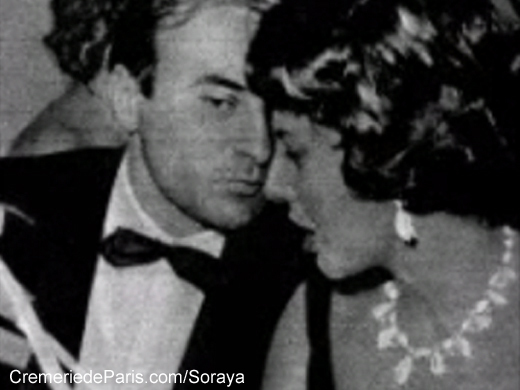 - Nicolas III de Neufville de Villeroy called "le Gendre"
his wife is Jeanne Prudhomme. 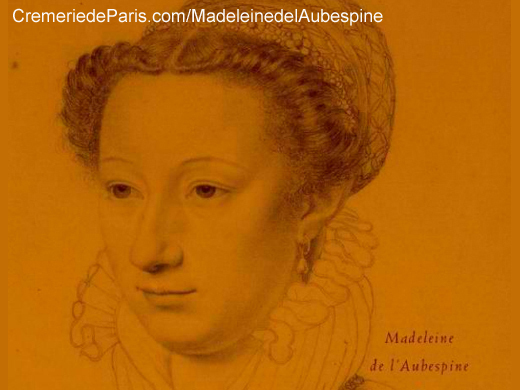 In 1546 is born Madeleine de l'Aubespine. 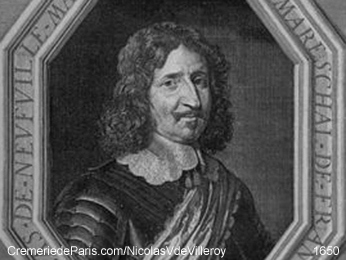 Secretary of King Francois I.
more on the Aubespine family (page 3). 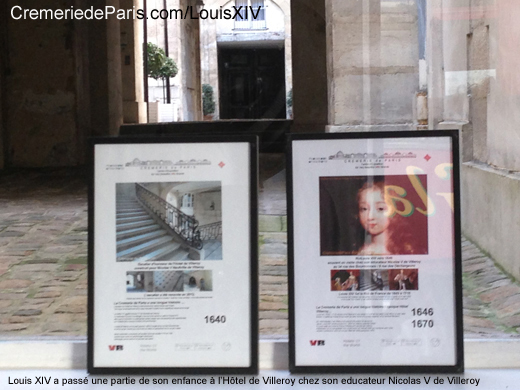 She falls in Love with Nicolas IV de Villeroy. 1561 Madeleine de l'Aubespine marries Nicolas IV. After their marriage their house is enlarged and redecorated. Madeleine becomes her "Lady in Waiting". during her long 30 years reign. 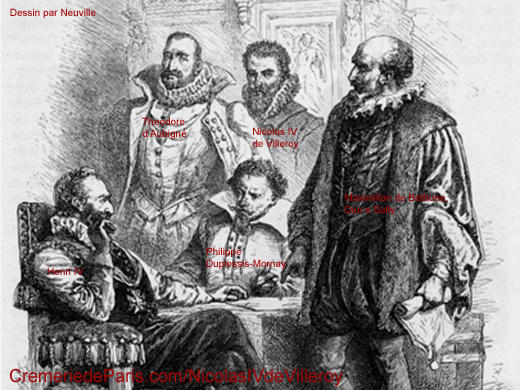 the decisions are taken by Catherine de Medici. 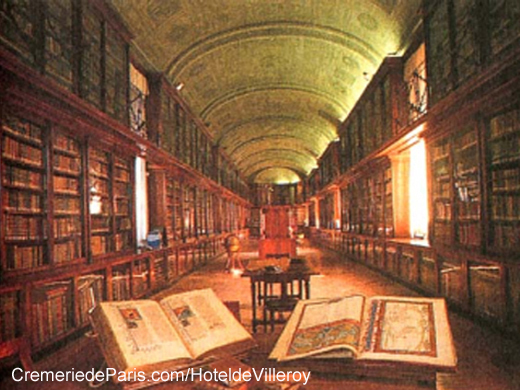 or to assist the litterary circles organised by Madeleine de Villeroy. Marie Legendre or Marie de Gournay. 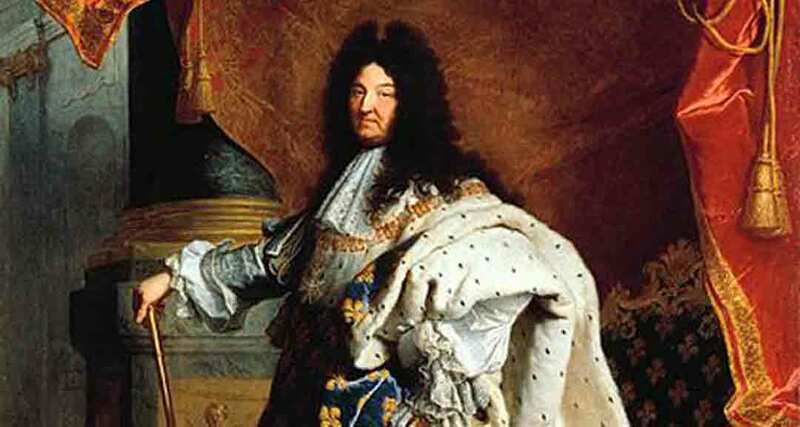 the first King of the Bourbons. 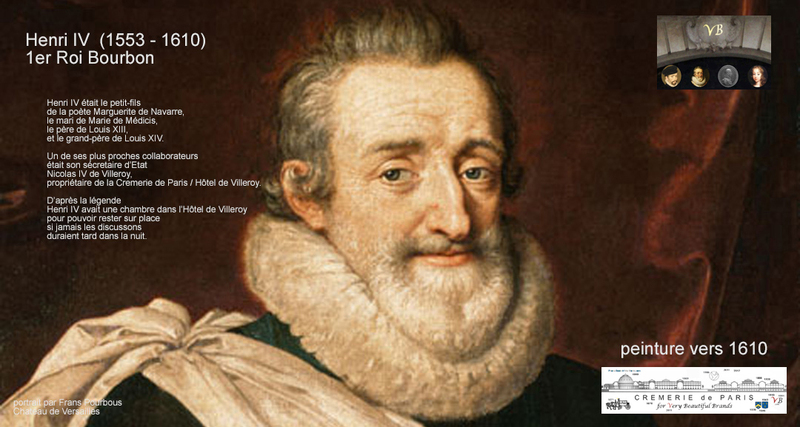 becomes governor of Lyon in 1608.
is one of their children. 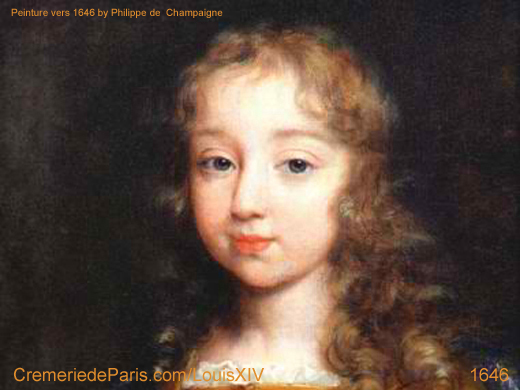 (Louis XIII is the father of Louis XIV and the hsuband Anne of Austria). 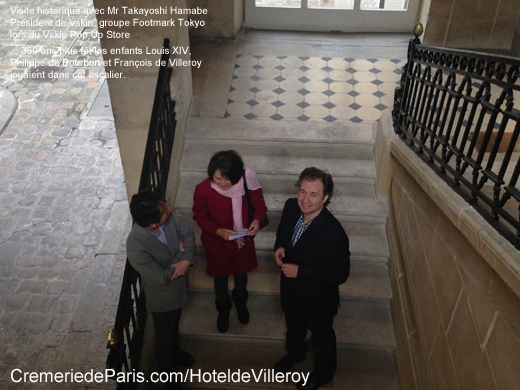 Nicolas V inherits the Hotel de Villeroy in Paris. which is to modest in his eyes. 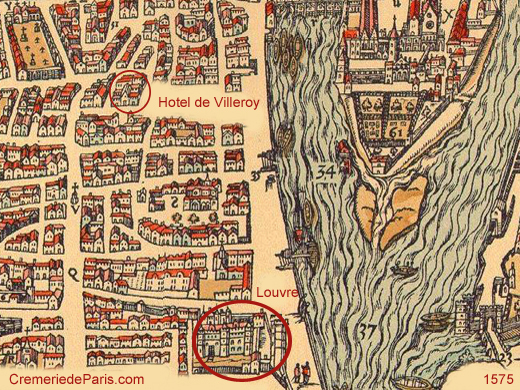 In 1640 Nicolas V tears down the Hotel de Villeroy. and a new House is construted. (Cremerie de Paris continues searching). Cremerie de Paris keeps searching. 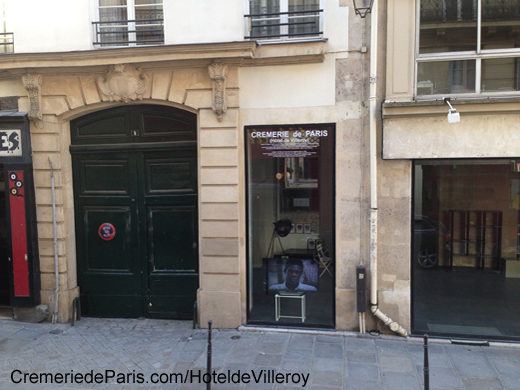 between the Palais Royal and the Hotel de Villeroy. 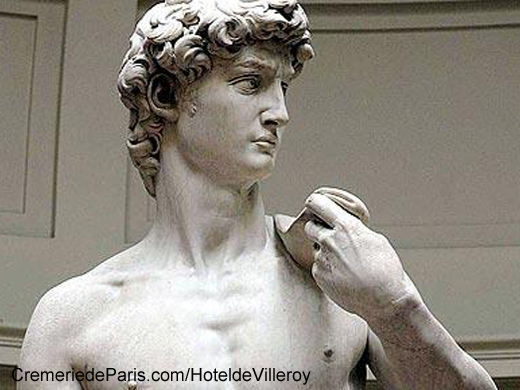 He was attached to his educator Nicolas V de Villeroy. and Catherine de Villeroy (the older sister of François de Villeroy). 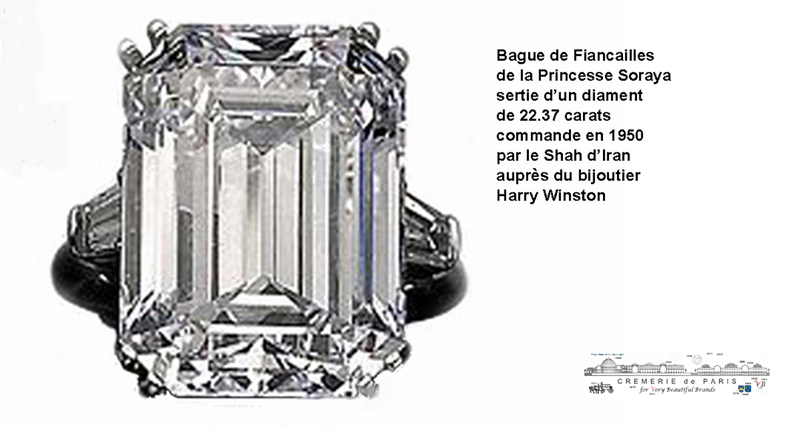 King Louis XV (1710 - 1774). 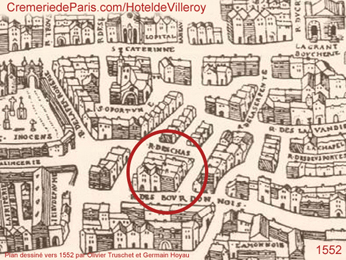 In 1671 the Villeroy family sells the Hôtel de Villeroy in Paris. 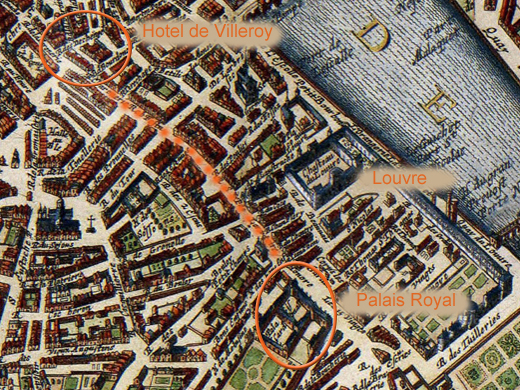 The family follows Louis XIV to Saint Germain en Laye. 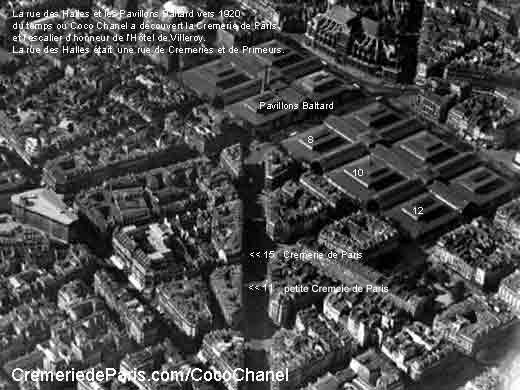 to build the first Forum des Halles shopping center. have also been destroyed to build a hideous appartment block. and real estate speculation & promotion. 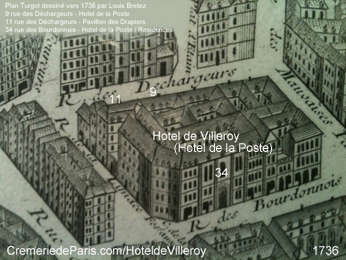 The destiny of the Hôtel de Villeroy was different. in order to build a large car parking complex. after massive speculation by the Willot brothers. the Hôtel de Villeroy was in very poor condition. 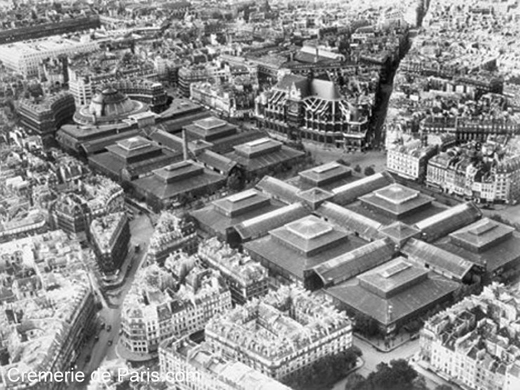 The entire Les Halles distric was in a inbetween situation called Le Trou des Halles. There is an unknow person that saved the house from destruction. that was in love with Paris. agains powerful real estate promotors. 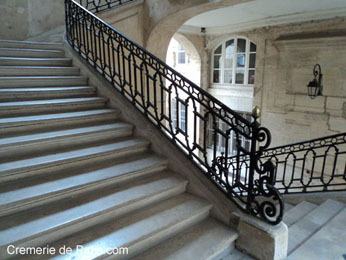 who liked to "faire place à la modernité"
located on the iron staircase of the "escalier d'honneur"
In 1640 Nicolas "5" de Villeroy requests a mysterious double number "5"
to be forged into the central staircase of his "hôtel particulier". 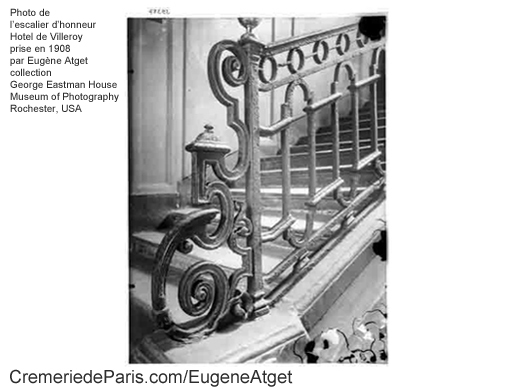 Picture taken by Eugène Atget in the year 1908.
sometimes calles "father of photography". 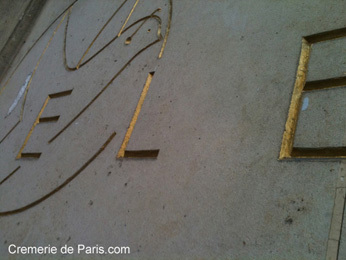 Chanel was a client of the first Cremerie de Paris. from 1924 to 1970 the name changed to "Emmental SA"
and the place specialized in Emmental cheese. 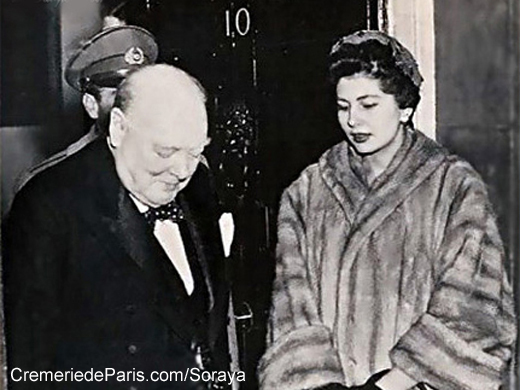 many famous people from the 19th century came there as clients. 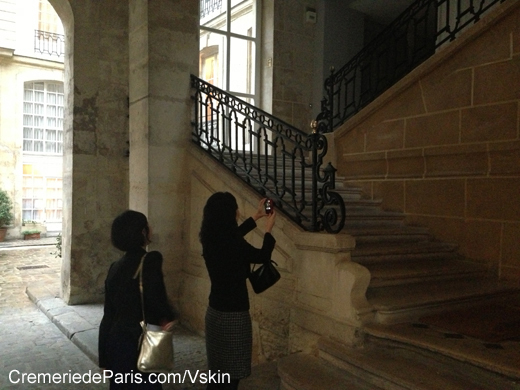 enjoyed to show the beautiful staircase to special clients. 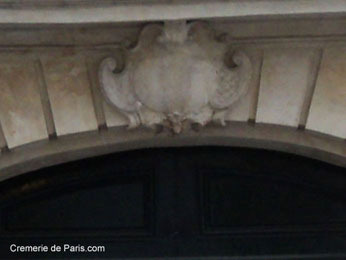 Aimee de Heeren came to the Cremerie de Paris during the last years of her life. the inventor Thomas Edison, the four Kennedybrothers and the first man on the moon. 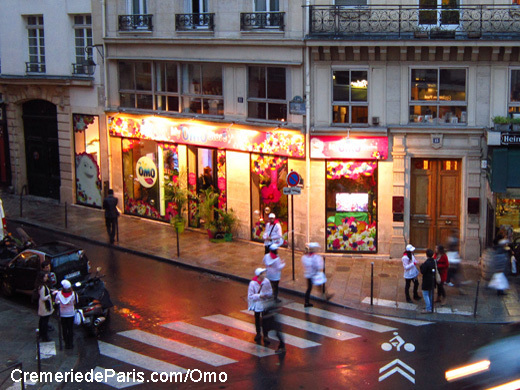 the Cremerie was the home of one the first Internetcafe in Paris. Aimée de Heeren was exceptionally beautiful. 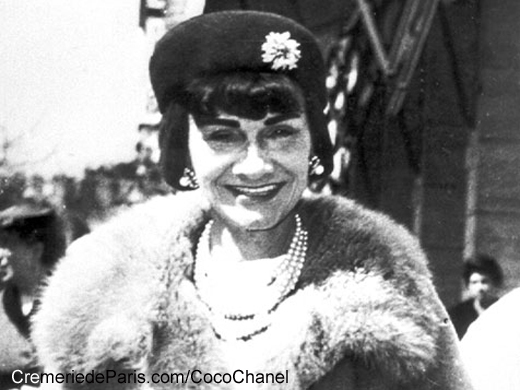 Non le chiffre 5 était déja un chiffre "porte bonheur"
dans l'enfance de Coco Chanel. de le retrouvé dans un endroit aussi mysterieux. a boy friend they have had in common. and her early years in perfumes. 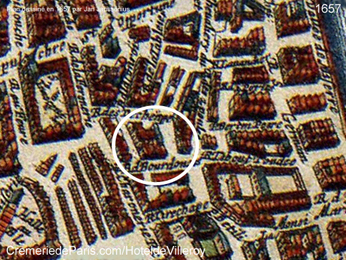 and the Cremeries located on rue des Halles. has also taken internet lessons at the Cremerie. In 2000 and 2001 she went there every thursday afternoon. 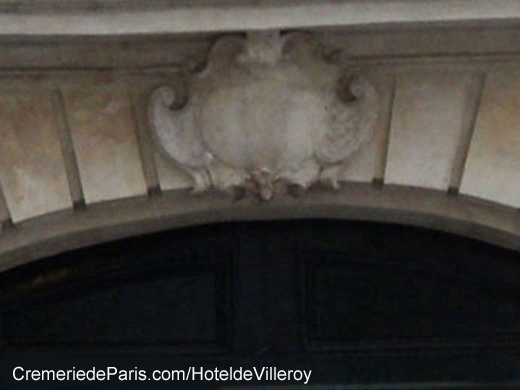 of the Hôtel de Villeroy. did not know the fascinating history of the house. 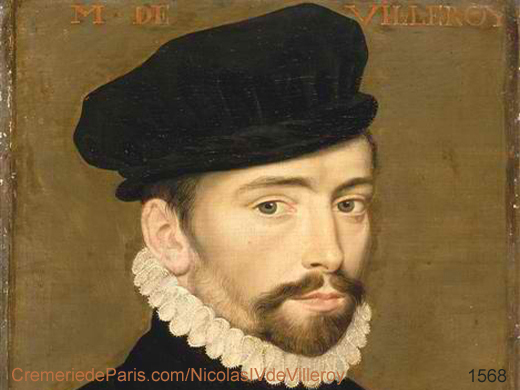 for Nicolas V de Villeroy by an unknown artist. "Palace Hotels of the World.com"
the Video artist Scott Stevenson and a friend of the Cremerie, Daymoon. is a Grand Hotel information site. 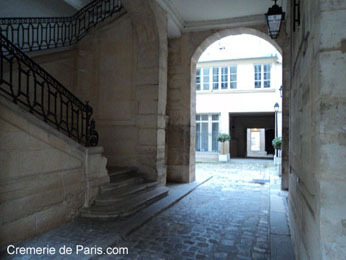 into the historic courtyard of the l'Hôtel de Villeroy ... the courtyard hasn't changed much since .. 1640.
were during some years located at the Hotel de Villeroy. in Conflans Sainte Honorine (east of Paris). 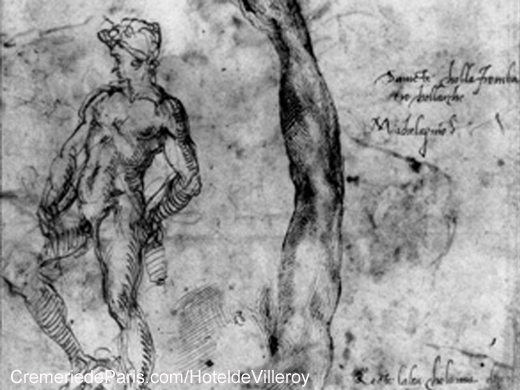 once owned a Bronez David by Michelangelo. of the Chateau de Villeroy in Mennecy. 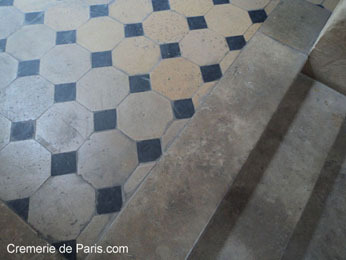 Many treasures were lost during the French Revolution. 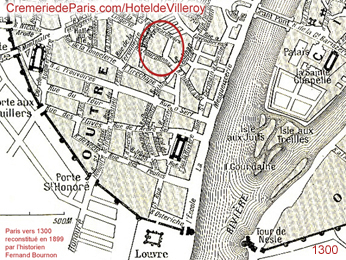 been located at the Hôtel de Villeroy. 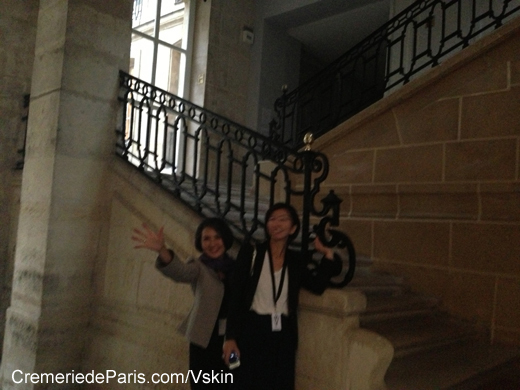 to the Academie des Sciences. They were later dispatched to different museums. 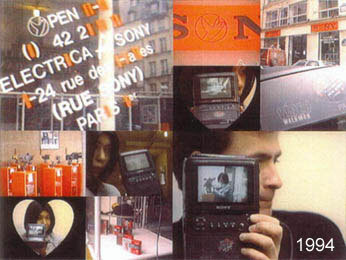 in particulary Sony phones, at the time impossible to find in France. and transformed them into "Electrica for Sony" Stores. 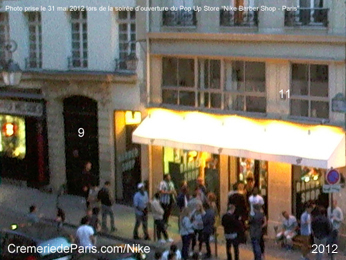 this new store would become the very first Internetcafe in Paris. 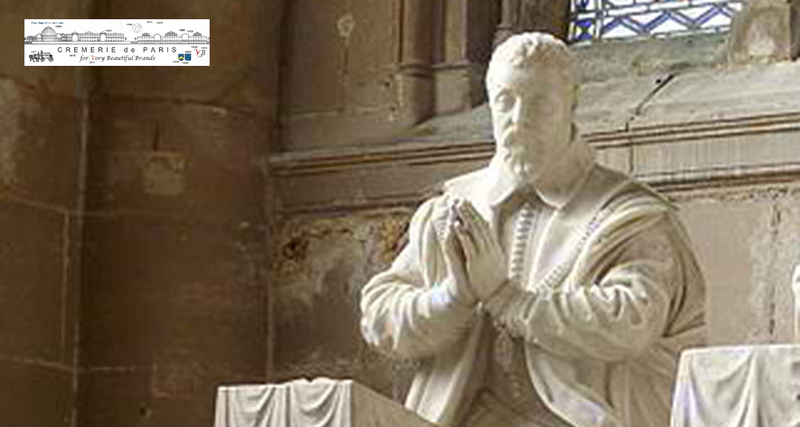 and deeply rooted in the history of the Kingdom of France. an Expo Center for Very Beautiful Brands. 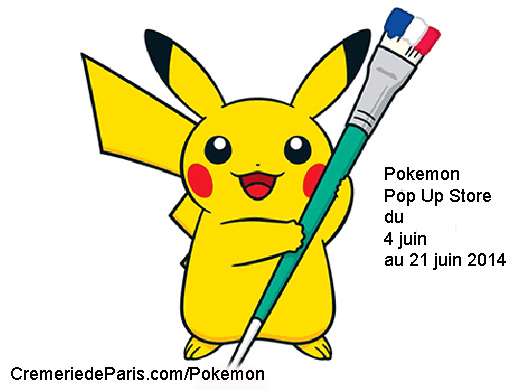 is connected to the Cremerie de Paris. The Nike Barbershop, expo imagined by Antoine Leca from the agency Auditoire ... the expo won multiple advertising awards. 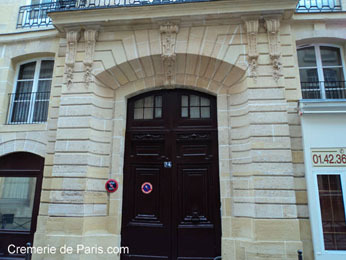 The OMO Wasing powder store at the Hôtel de Villeroy, expo imagined by "Une Agence Americaine"
View into the historic courtyard of the Hotel de Villeroy from the Cremerie de Paris. through the exterior window of the Cremerie. loved all over the World"